No matter in which season you plan on visiting, flying to Iceland has never been easier! We have a host of quality travel options for you to choose from, with both international and domestic services available. The city is well connected to Keflavík International Airport via modern express bus services and private taxis, or alternatively you can hire a car from one of the many service providers at the airport. Airport buses, car rentals and taxis are conveniently located outside the terminal building and just waiting for your arrival. The buses operate in connection with arriving and departing flights. Tickets can be bought online or directly from the bus-driver. If you wish to rent a car during your stay, we recommend that you do so online before you arrive in Iceland. Whatever your travel preferences are, we wish you a safe and pleasant trip and hope you have a fantastic time in Reykjavík - our favourite city! There are a number of airlines flying to Keflavík, some offering annual services while others are limited to the summer season. The best part is that it only take 3-6 hours to get here! Below is a list (including links) to all airlines servicing Iceland. WOW air was founded in November 2011 and tries to stand up to its name: we want to be WOW in all that we do. The company’s strategy is to always provide fun and memorable service, as well as offering the lowest price airline tickets to and from Iceland, with a smile. We are Europe's leading airline, operating on over 600 routes across 30 countries with our fleet of over 200 aircraft. Air Iceland is a modern, dynamic airline company that prides itself on providing quality services to its customers. Air Iceland has flights to all the main destinations in Iceland and flies to Greenland and the Faroe Islands. In addition, Air Iceland offers a range of other related services. Eagle Air is an Icelandic airline with 38 years of flying experience in the fields of transport, tourism and emergency response. We are a family operated business, committed to providing our clients with the highest level of safety and services. Airberlin is one of Europe’s leading airlines. Offering 150 destinations in 40 countries and award-winning service, Airberlin is the first choice for more than 33 million travellers. Air Greenland is Greenland’s principal airline. We offer aircraft and flights to, from and within Greenland. Our fleet consists of 35 fixed-wing aircraft and helicopters – ranging from the large Airbus 330-200 to small AS 350 helicopters. Austrian Airlines is the flag carrier of Austria and a subsidiary of Lufthansa. The airline is headquartered in the grounds of Vienna International Airport in Schwechat. Deutsche Lufthansa AG is a global aviation group. The Group operates in five business segments, each dedicated to high quality standards. The five units – the passenger airline business, logistics, MRO, catering and IT services – all play a leading role in the industry in which they operate. Edelweiss is Switzerland‘s leading leisure travel airline and flies to the most beautiful holiday destinations in the world. German budget airline Germanwings is set to revolutionise the European low-cost market. In the future it will offer the highest value airline product in this segment in Europe. NIKI’s Airbus and Embraer fleet, and list of destinations has been growing steadily ever since the company’s foundation in November 2003. Norwegian Air Shuttle ASA, commercially branded "Norwegian", is a public low-cost airline noted on the Oslo Stock Exchange. The company is the second largest airline in Scandinavia and the third largest low-cost airline in Europe. Primera Air is the airline of Primera Travel Group and operates new Boeing 737. The aircraft are based in Stockholm, Gothenburg, Malmö, Billund, Copenhagen, Oslo and Helsinki. Scandinavian Airlines or SAS is the flag carrier of Denmark, Norway, and Sweden, and the largest airline in Scandinavia. Part of the SAS Group and headquartered at Stockholm Arlanda Airport in Sweden, the airline operates 182 aircraft to 90 destinations. In its 45 years of existence, transavia.com has developed into an airline with a broad range of destinations. Travel Service, an airline company, is a leader in the charter flight market in the Czech Republic, Slovakia, Hungary and it also has a significant share in Poland. Vueling Airlines is a Spanish airline headquartered at El Prat de Llobregat, Barcelona near its primary hub at Barcelona–El Prat Airport. Vueling serves over 100 destinations in Africa, Asia and Europe and is currently the second largest airline in Spain. The Flybus is located right outside the Keflavík International Airport. The bus leaves 35-40 minutes after arrival of each flight. Passengers should keep an eye on the screen in the terminal to see when the bus leaves or ask for information at the Flybus information desk at the arrival hall. 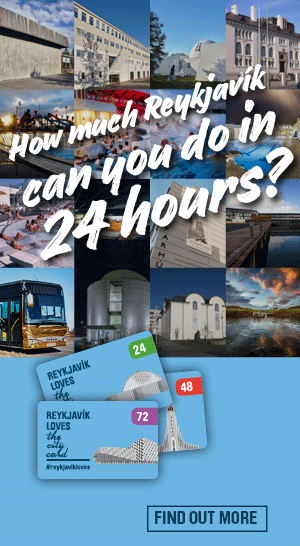 The trip to Reykjavík will take approximately 45 minutes and upon request, the bus will stop at Hotel Viking in Hafnarfjörður and at Aktu Taktu in Garðabær. When reaching Reykjavík our first stop will be the BSÍ Bus Terminal. Transfers are available to all major hotels, the Youth Hostel, Laugardalur camping area and the domestic airport. For these transfers the driver will ask you to board smaller busses. Transfer from Keflavik International Airport. The Airport Express sales office is at the arrivals terminal at Keflavík Airport. Departures from Keflavik Airport and Reykjavík are according to schedule. The transfer to the capital area takes approximately 45 minutes. The transfer from Reykjavík starts at our Sales Office and Bus Terminal at Lækjartorg in downtown Reykjavík at the designated departure time. Pick-up starts 30 minutes prior to the advertised departure time. Complimentary pick-up/drop-off service from all major hotels in the capital area.